Our company has achieved widespread recognition for Cotton Printed Curtains. These products are designed and stitched as per the latest market trends by the skilled designers using optimum quality fabric and latest machines. These products are designed and fabricated using high grade raw material and cutting-edge technology. 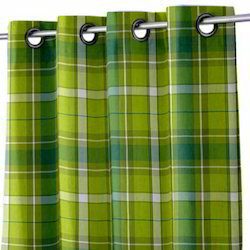 Refratexindia YARN CURTAIN, Size: 72"
We are offering cotton curtains to our clients. Our reputation in the market is largely attributable to our Door Curtain which we provide in diverse specifications as per the varied needs of the clients. By providing best quality of Cotton Curtains, we have maintained a reputed position in the market. Our products are known for their optimum quality. 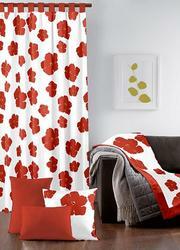 The Cotton Curtains are suitable for decorating home. These products are offered by our company to customers as per their requirements at market leading prices.